HomeNews in PerspectiveSierra Leone loses $240 million a year in corrupt tax waivers: Why blame the IMF for government’s follies? The Ebola crisis in Sierra Leone has brought out the worst of human character – including the embezzlement of funds meant to feed the sick and the concealing of the infected by relatives. But no one expected a well respected group of university researchers to blame the International Monetary Fund for the failure of the Koroma government to live up to its electoral promise – the provision of decent health care for its people. No one, except those that are benefiting from the grotesque and rampant corruption in the country, will go so far as to shift responsibility for the deplorable state of the country’s health care systems away from the government. The truth however is that Sierra Leone’s health care systems had crumbled, not because of IMF policies, but simply because of rampant corruption, poor governance, incompetence, lack of astute leadership, poor prioritisation of spending and budget allocations, granting of massive custom duties and tax waivers, contract kick-backs, etc. It is indeed obscenely patronising and condescending to the ordinary poor Sierra Leoneans, for anyone to suggest that they are poor and dying of Ebola because of IMF policies. Such platitudes do not wash in Africa any longer. Most Africans may be poor and illiterate, but they know better. Thanks to corrupt government officials, a report by Transparency International ranked Sierra Leone as one of the most corrupt nations in the world. A report published early this year by Christian Aid titled: ‘Losing Out – Sierra Leone’s massive revenue losses from tax incentives’, was very scathing and clear, as to who to blame for the mess Sierra Leone is in currently (certainly not the IMF). “Tax incentives granted by the government are a major reason for Sierra Leone’s low tax revenues. The UN estimates that Least Developed Countries need to raise at least 20 per cent of their GDP through taxes to meet the Millennium Development Goals by 2015. “A transparent tax system supports good governance and the accountability of policy-makers towards the public. 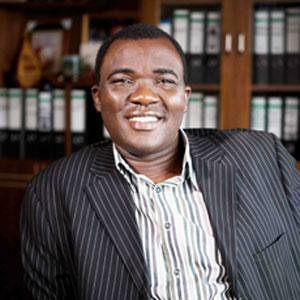 But the granting of special tax incentives in opaque deals, at the discretion of individual ministers, without public scrutiny, undermines good governance and can increase the risk of corruption.” (Former Chief of Staff at State House – Richard Conteh, charged with corruption). “Current tax incentives are resulting in massive revenue losses for Sierra Leone. Using figures obtained from the National Revenue Authority, we estimate that the government lost revenues from customs duty and Goods and Services Tax exemptions alone worth Le (Sierra Leonean Leone) 966.6bn (US$224 million) in 2012, amounting to an enormous 8.3 per cent of GDP. “There has been a massive rise in revenue losses since 2009 – the result of tax incentives granted to the mining sector in relation to the major investments that took place during 2010-2012. “However, the government is set to lose further revenues by providing significant corporate income tax incentives to mining companies. “If tax expenditure continues in its present trend, it is likely that Sierra Leone will lose more than US$240 million a year from tax incentives in the coming years,” says the report. Early this year, president Koroma’s Chief of Staff at State House – Richard Conteh, appeared in court for corruption involving almost $50 million, and observers say that this is just the tip of the iceberg. The matter is still before the courts in Freetown. 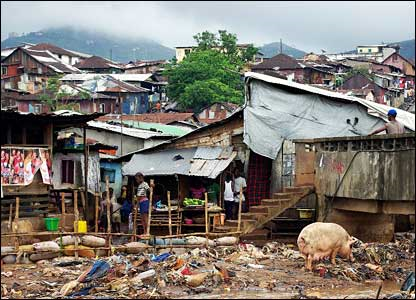 Corruption in high places has destroyed Sierra Leone, a country with an abundant supply of mineral, marine and agricultural resources, yet ironically, classed as one of the poorest in the world. So what could have motivated a group of researchers from Cambridge University’s Department of Sociology – non-economists for that matter, to attempt to absolve the Koroma government from responsibilities for the deplorable mess the people of Sierra Leone are being subjected? Researchers criticise reforms advocated by IMF for chronically under-funded and insufficiently staffed health systems in Guinea, Liberia and Sierra Leone. They say these policies contributed to “lack of preparedness” of West African health systems to cope with disease and emergencies such as Ebola. Writing today in the journal Lancet Global Health, researchers from Cambridge University’s Department of Sociology, examine the links between the International Monetary Fund (IMF) and the Ebola outbreak in West Africa. According to the authors, joined by colleagues from Oxford University and the London School of Hygiene and Tropical Medicine, IMF programs over the years have imposed heavy constraints on the development of effective health systems of Guinea, Liberia and Sierra Leone – the cradle of the Ebola outbreak that has killed more than 6,800 since March this year. The researchers say that economic policy reforms advocated by the IMF have undermined the capacity of health systems in these three nations – systems already fragile from legacies of conflict and state failure – to cope with infectious disease outbreaks and other such emergencies. “A major reason why the Ebola outbreak spread so rapidly was the weakness of healthcare systems in the region, and it would be unfortunate if underlying causes were overlooked,” said lead author and Cambridge sociologist Alexander Kentikelenis. “Policies advocated by the IMF have contributed to under-funded, insufficiently staffed, and poorly prepared health systems in the countries with Ebola outbreaks,” he said. Firstly, the IMF required economic reforms that reduced government spending. “Such policies have been extremely strict, absorbing funds that could be directed to meeting pressing health challenges,” write the researchers. Although the IMF responded to concerns raised about the impact of these policies by incorporating “poverty-reduction expenditures” that aimed to boost health budgets, the researchers found these conditions were often not met. “In 2013, just before the Ebola outbreak, the three countries met the IMF’s economic directives, yet all failed to raise their social spending despite pressing health needs,” said Professor Lawrence King, co-author and Cambridge sociologist. Secondly, the IMF often requires caps on the public-sector wage bill, directly impacting the capacity of these nations to hire and adequately pay key healthcare workers such as doctors and nurses. An independent evaluation of the IMF in 2007 stated that these limits are “often set without consideration of the impact on expenditures in priority areas”. “Wage limits set by the IMF have been linked to a ‘brain drain’ of health workers in countries that need them most. For example, the IMF imposed restrictions on wage spending in Sierra Leone over the 2000s. At the same time, the number of health personnel in the country plummeted,” said King. Thirdly, the IMF campaigns for decentralised healthcare systems. While the idea behind this is to make healthcare more responsive to local needs, the researchers say that in practice this makes it difficult to mobilise coordinated responses to outbreaks of deadly diseases such as Ebola. “The IMF’s recent change of heart about prioritising public health instead of fiscal discipline is welcome, but this is not the first time we have heard such rhetoric from the IMF leadership. It remains to be seen whether this time is different,” said Kentikelenis. The authors of the Lancet article point to that journal’s own Commission on Investing in Health, which calls for increases in public health spending and attention to hiring and training health workers. “The experience of Ebola adds a degree of urgency to the implementation of its recommendations,” they write. First, it is not correct to say that health care expenditures declined in these countries. As my colleagues, Benedict Clements, and Masahiro Nozaki, and I note in a recent blog, spending on health and education have increased faster in low-income countries with IMF-supported programs, than those without. What about the Ebola-hit countries? Here too, we find an increase in health spending as a percent of GDP. In Guinea, spending increased by 0.7 percentage points, in Liberia by 1.6 points and in Sierra Leone by 0.24 points (from 2010 to 2013). More generally, World Bank data show that health outcomes in Sub-Saharan Africa, including the three Ebola-hit countries, have improved significantly over the past decade or so, including improvements in mortality rates (falling by about 30 percent), child nutrition (improving by 9 percent), and sanitation (improving by 9 percent). Second, it is simply not correct to say that the IMF requires caps on the public sector wage bill. Since 2007, the IMF announced a new policy on wage bill ceilings, as part of an overall effort to promote more effective and sustainable use of aid flows to low-income countries. In fact, IMF programs in Guinea, Liberia, and Sierra Leone have not had any limits on the wage bill during the period 2000 -2014 (See also a study by the Independent Evaluation Office). The fact is that Guinea, Sierra Leone, and Liberia were doing relatively well trying to overcome years of instability as they emerged from conflict, including civil wars that claimed tens of thousands of lives and had a devastating impact on social infrastructure. The arrival of Ebola put severe pressure on already fragile infrastructure and health care systems. The IMF recognized the urgency of the situation—and moved quickly to help, as you yourself note. 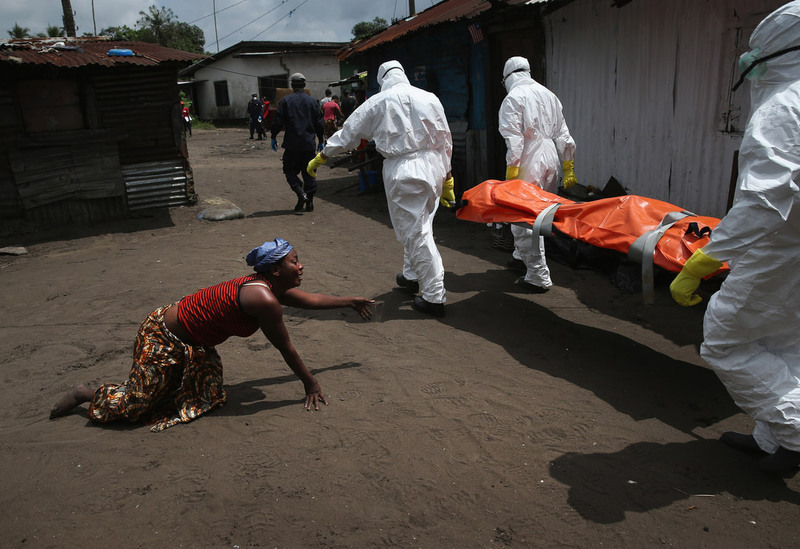 The IMF made available an additional $130 million to the three countries to fight Ebola. And we are doing more. The international community is helping affected countries meet their needs to fight Ebola. The IMF is working on mechanisms to allow us to move rapidly to provide more debt relief to these countries—which would free up more resources that could be used for health care spending. “According to the priorities laid out in the Agenda for Change (PRSP II), the key economic objective of the GoSL is to raise growth by accelerating investments in infrastructure and developing an accessible financial sector. “The focus of the next three-year program (2010- 2012) will be on (i) creating fiscal space for improving basic infrastructure and social services while maintaining macroeconomic stability; (ii) strengthening tax performance and improving public financial management (PFM) systems; and (iii) deepening the financial sector. “The question that requires major attention is whereas the revenue base of the Country is low and the government is embarking on massive infrastructural development where is the money coming from? Would this not thwart the government’s efforts in providing pressing social amenities? “Government needs to embark on prudent and judicious spending with a concentration on providing for the bulk of the poor masses. “While tax revenue grew at a modest but steady rate in 2008 and 2009, customs revenue has fallen dramatically below targeted levels in the first half of 2010 amidst broader evidence of the creeping politicization of the revenue authority. “This appears to reflect aggressive resistance to implementation among customs officials at all levels. The historical weakness of the tax system reflects these patterns, as supporters are permitted to enrich themselves through administrative corruption, while political allies are similarly permitted, informally, to escape their fair share of taxation. With evidence like that, the Sierra Leone Telegraph asks: Why then resort to blaming the IMF for the deaths of thousands of poor Africans, instead of holding ministers and officials of the government of Sierra Leone responsible, for pocketing hundreds of millions of dollars and failing to protect the lives of its citizens? Who is sharing the loot? Breaking News: Ebola hits Sierra Leone’s political establishment? Gambia and Ghana who are also in West Africa, are subject to the same IMF conditions, but are doing much better.Corruption is much lower and they utilise sensibly any monies given by IMF. They have used these monies very wisely improve the health care systems – building more hospitals and have upgraded the old ones. Ghanians have an insurance based health care system, which Sierra Leone does not provide for its citizens. So much financial aid and loans from the IMF were used in SL for infrastructural development – mainly repairing and constructing roads. However, most of these roads are now crumbling, overflooded during the rainy season, or have been dug up and then left unfinished by the Chinese when Ebola struck. The ‘free’ health care programme was administered hapharzardly. Most of the medicines in pharmacies are fake but sold at exhorbitant prices. Monies from IMF and other loans or AID, have been squandered by the government with one Minister building 3 mansions simultaneously. As for Ebola, Ghana and Gambia closed their borders very quickly, whilst the 3 Mano River Union countries left the borders open to facilitate the flow of trade. Foreign investment is stifled by huge bribes requested by the government before investors can set up any business in the country. This drives away genuine investors. IMF is not to blame – corruption is to blame. Ebola has now shown us that – Priorities must now change; how we choose and elect our leaders must change.